Starting 2/17, Nivea Hand and Body or InShower Lotion 13.5-16.9 oz will be on sale for $5.99 each. 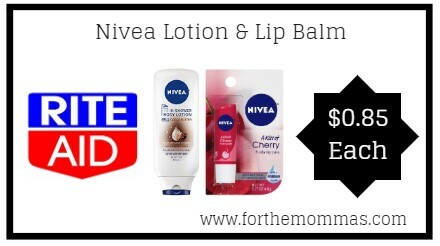 Combine this price with a couple of Nivea coupons to further reduce the price. In addition to this, you will receive $20 Bonus Cash when you spend $50 to bring your final price down to ONLY $0.85 each.